Overseas Car Transport Services for Vintage Automobiles/ Vehicles to Port Bremerhaven, Germany! 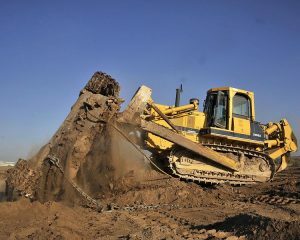 Shipping construction equipment overseas with a reliable international shipping company, like K International, is easy, affordable, and efficient for transport Caterpillar / Kobelco / Komatsu equipment. With K International’s construction equipment shipping services, you can ship excavators / cranes / dump trucks / tractor trailers / bulldozers to Dubai via Port Jebel Ali, United Arab Emirates! The port of Jebel Ali is currently expanding! It will soon be able to except over 55 million 20′ containers annually, and will become the world’s biggest port! Jebel Ali port has 22 berths and 78 cranes and is able to handle container, break bulk and roll-on / roll-off cargo. The Jebel Ali Free Zone was created in 1985 and offers specialized tax and import duty exemptions for businesses located in the free zone. For more information, visit our website at kinternational.com, call us at 212-267-6400, email us at inquiries@kinternational.com, or reach out to us on Skype at kinternationalny. For an international shipping quote, visit our rate request page today!